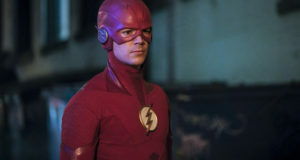 A classic comic book situation is brought to life in the Tuesday, October 13 episode of The Flash. 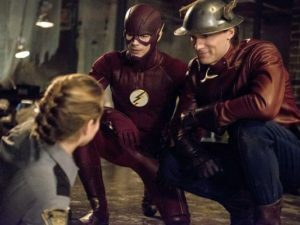 Jay Garrick (played by Teddy Sears) is here… but what is his deal? Will he and Barry get along? And can he be trusted? All of those answers will come out next week, as the team faces the Sand Demon, another villain from Earth-Two. Plus, there are some surprises… and we get to meet Patty Spivot! The episode is called “Flash of Two Worlds,” named after the classic issue of The Flash comic books where Barry Allen and Jay Garrick teamed up for the first time! 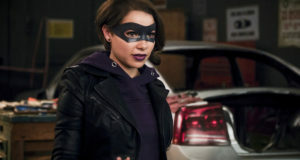 The CW has released promotional photos from the episode, and you can find those below. But first, here’s the trailer. If you’ve just now finished the season premiere, “The Man Who Saved Central City,” you can come talk about it on our Flash forum! The Flash -- "Flash of Two Worlds" -- Image FLA202A_0016b -- Pictured (L-R): Grant Gustin as the Flash and Shantel VanSanten as Patty Spivot -- Photo: Cate Cameron/The CW -- ÃÂ© 2015 The CW Network, LLC. All rights reserved. 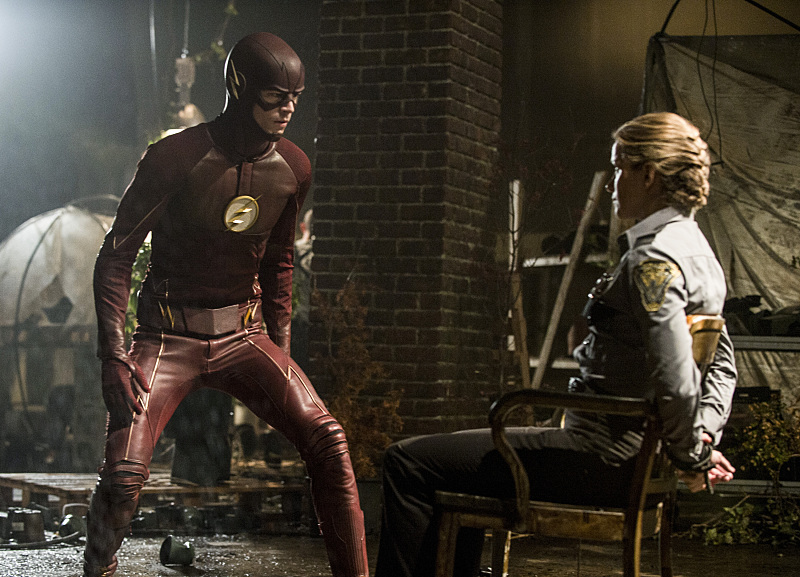 Previous: Come Talk About Tonight’s Season Premiere On Our Flash Forum! 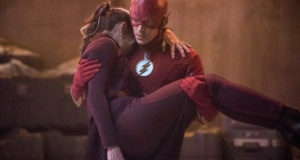 Next: Flash: Season Premiere Overnight Ratings Are In!